Amazon.com description: Product Description: Over the past 50 years, the influence of visuals has impacted society with greater frequency. No subject is immune from the power of visual culture, and this fact becomes especially pronounced with regards to history and historical discourse. Where once the study of the past was books and printed articles, the environment has changed and students now enter the lecture hall with a sense of history that has been gleaned from television, film, photography, and other new media. They come to understand history based on what they have seen and heard, not what they have read. What are the implications of this process, this visualization of history? 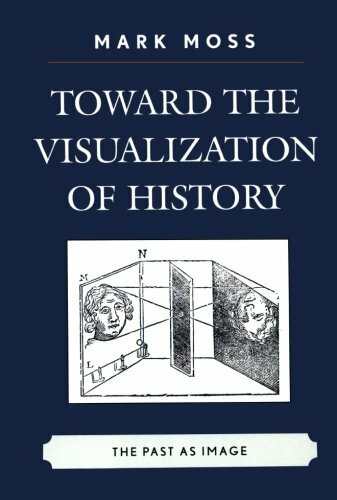 Mark Moss discusses the impact of visuals on the study of history with an examination of visual culture and the future of print. Recognizing the visual bias of the younger generations and using this as a starting point for teaching history is a critical component for reaching students. By providing an analysis of photography, film, television, and computer culture, Moss uses the Holocaust as an historical case study to illustrate the ways in which visual culture can be used to bring about an awareness of history, as well as the potential for visual culture becoming a driving force for social and cultural change.